These cards are all simply stunning. I usually am not a fan of yellow but that first card is a marvel, It is so realistic looking. Wow! You are truly an artist! Thank you for sharing your gifts with us all year! Love the detail. My favorite is the brownish tone on tone. Altenew stamps together with your artistic flair equals masterpieces! love seeing all your beautiful cards again, E.T. - every one is a work of art!! 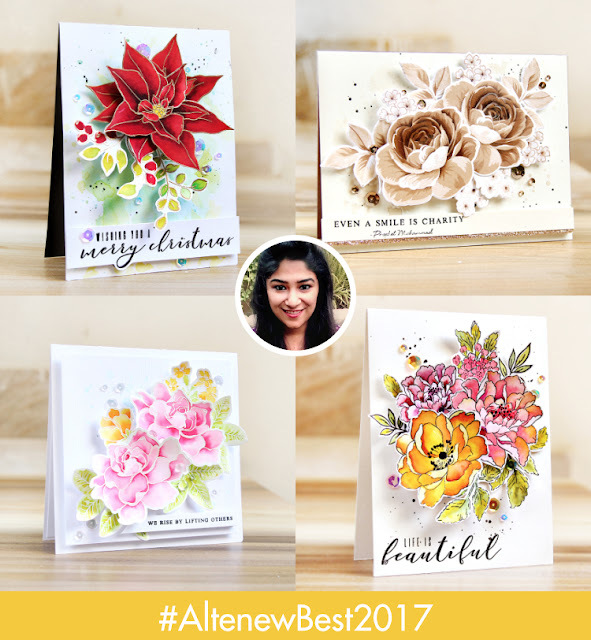 I just love love love all your flower cards. They are so beautiful. 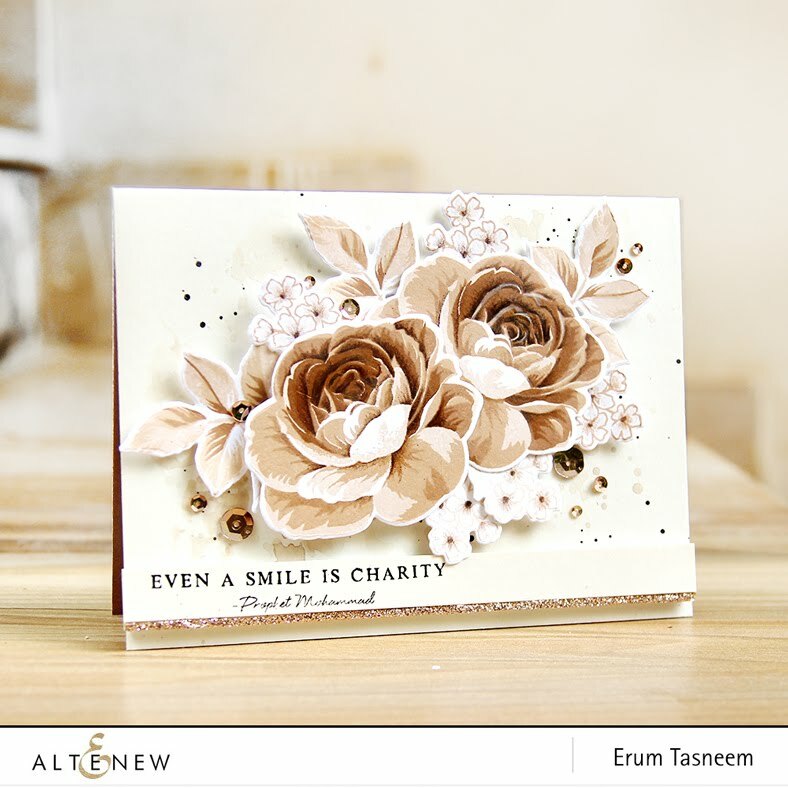 Altenew makes elegant stamp sets & dies & what you've showcased here takes them to a level beyond what anybody could ask for!!! You have amazing talent for colouring & a great eye for layout. Thanks for sharing your cards. Wishing you a Happy New Year from the west coast of Canada. Beautiful cards. All so different and so perfect for the sentiment used. Thank you for sharing and Happy Holiday. I can see why you selected these. Each one is as beautiful as the next. You are so lucky to have those gorgeous Altenew products to work with. Hoping Santa is good to me this year! I simply adore your floral coloring... it's incredible I can look all day long! Thanks for sharing. Erum, your cards take my breath away, they are stunning. Your creative talent has really shown the fabulous design of these Altenew products. Thank you for sharing your ideas. Your cards are stunning. I wish I could stamp/watercolor like you do. You are a true artist. Your work includes more detail than most. That's what sets your work apart from others. 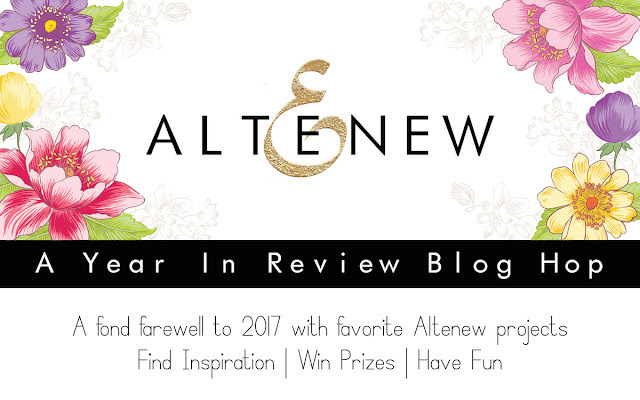 As a regular on the Altenew blog...I just about don't need to see your name attached. Almost always I can pick out your work...and that's a compliment! Your inclusion of incredible detail as well as added interest (such as stacking the card layers with dimension between them) add extra interest. The 'little' things are also never lost especially the leaves or foliage. You do beautiful work and it continues to amaze me. On a completely other note, I see on your blog you did a Saturated Canary challenge. That is how I got started with coloring images as I love her style. I'll never forget my early beginnings, learning to color with her images. But amazing work with the cards you created. I still am in love with that pink iris! Can't wait to see what you create next! Wow! gorgeous cards! You are talented. Your coloring always amazes me. Beautiful cards. Your cards are always so beautiful! Love each one of them. These cards are simply BEAUTIFUL! I've loved seeing your work. Seeing so many of them here reminds me how much I was dazzled by your poinsettia. Thank you sharing your talent with us. They're all beautiful, Erum, but my favorite has to be the brown floral. Thanks for sharing again. You have a wonderful mastery of coloring; these are stunning images. I remember several of these from this year because of how lovely they are, and can't wait to see your next creations! My goodness, every time I see one of your cards I am amazed. Breathtaking! 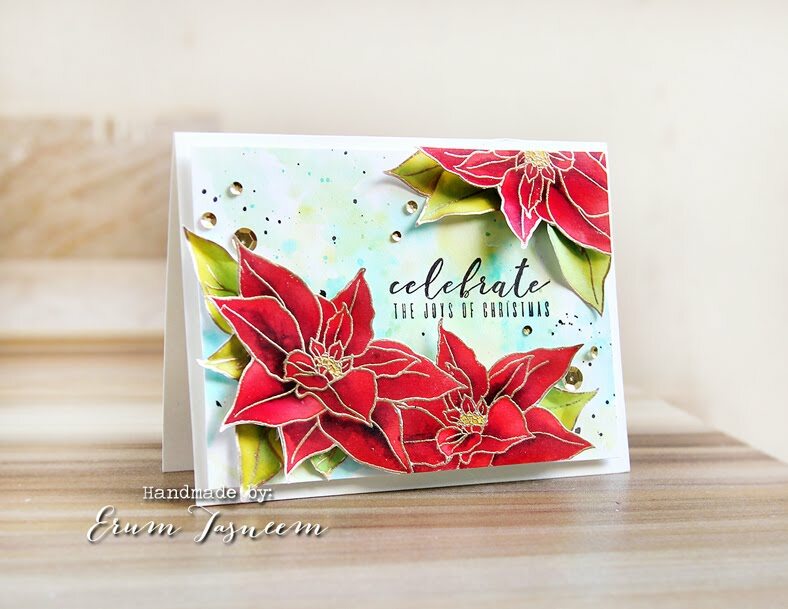 Beautiful work as always, Erum! I didn't think I would love sepia roses but your card changed my mind about that--it's stunning! Wow, these floral cards are so stunning! Thanks for sharing your talents. 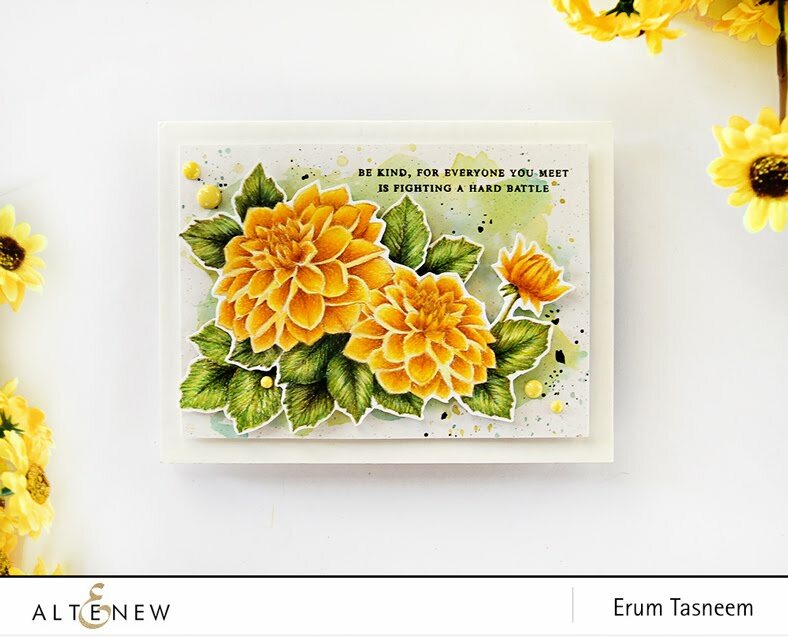 Your cards are stunning, Erum! I have always loved your beautiful watercoloring. Amazing cards - so beautifully colored. Everything you do is just jaw dropping, Erum. Thank you for sharing your wonderful talent and creativity with such enthusiasm! Looking forward to seeing what you bring us next year! 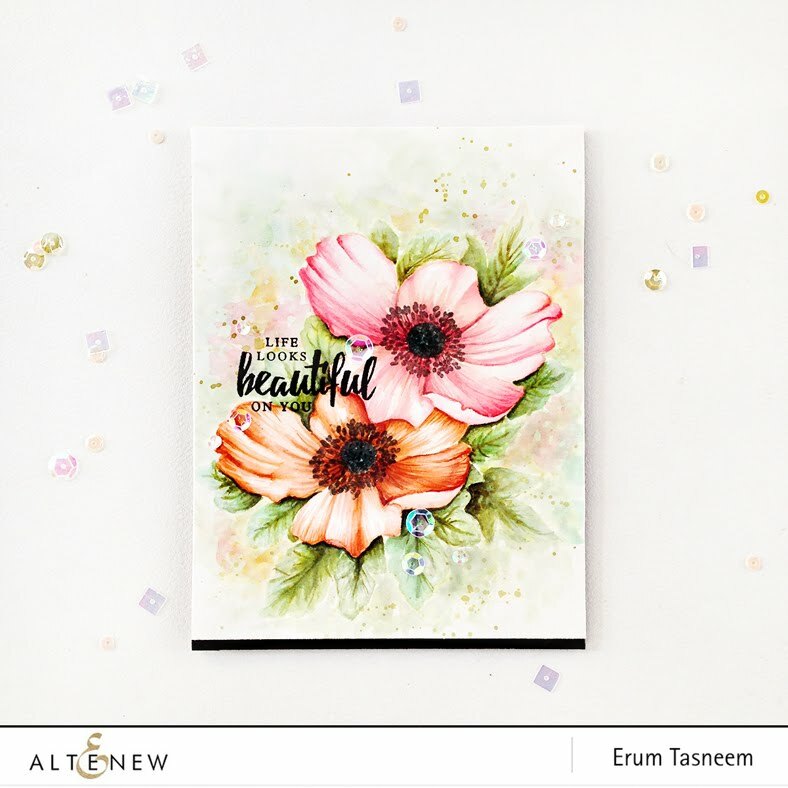 Altenew make some of the best floral stamps around, and you bring them to life so beautifully. Thank you for sharing. I look forward to more next year. Wow, your cards are beautiful! I can't believe that first one was done with colored pencils! You made those flowers just pop and look so realistic. So inspiring! Erum, without a doubt, these are all just stunning! Thank you so much for sharing and creating so many lovely cards. I find your work so inspiring. Your colouring is just gorgeous..
You are so talented. These are so beautifully designed and colored. Altenew makes great designs and you take them to the next level! Fabulous! Your brown rose is my favorite - just gorgeous! So beautiful! So much fun! Thanks for the inspiration! Love your cards. 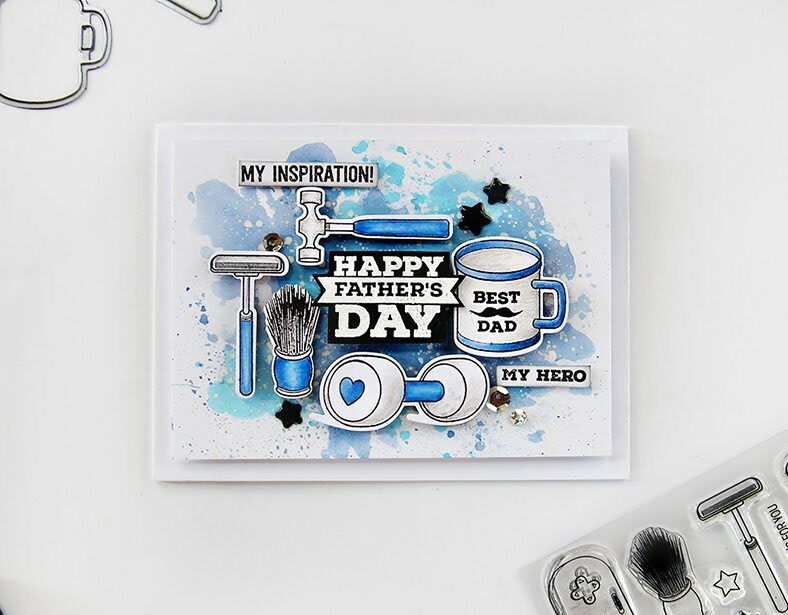 Your father's day card is awesome. Love the colors, but that charity card is just BEAUTIFUL! I can see why it would be hard to narrow down your favorite cards because all of them are stunningly beautiful. I'm sure it was hard to choose your favourites - all your cards have been so beautiful and inspiring with their wonderful colouring and design! Enjoying all the year in review projects! Beautiful cards! I especially love the poinsettias! Just WOW!! Your colours and layouts are just amazing. I have been enjoying your cards for several months now. Seeing so many of them together I can see why you were picked to represent Altenew. The first card, the yellow dahlia, is my favorite of this group of cards. Erum, you are an incredible colorist. I have never seen such artistry in our field. I think you could easily become a fabric designed with the vivid florals you draw. Keep on coloring! Oh, my, these are stunning! Your coloring is amazing! 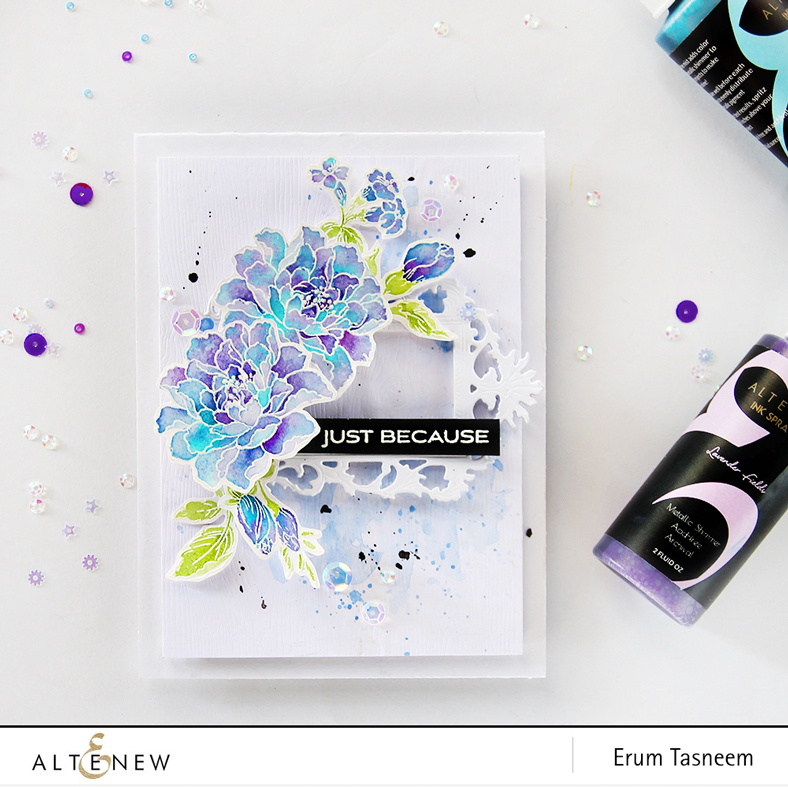 Erum, thank you for sharing on paper your phenomenal, creative mind! You are such an inspiration. Wow, Wow, Wow. I couldn't choose a favorite either! They are ALL amazing! Gorgeous cards, thanks for all the inspiration! Choosing a favorite card must be like choosing a favorite from among your children -- just about impossible! You selected some amazing cards to showcase. Each and every one showcase the product as well as your amazing skills as a colorist. Happy Holidays! I've loved each and every card you've done for them!!! Very stunning cards, your work it wy above the most, gorgeous! OH MY!! I've seen these all through the year and they are just beautiful!! 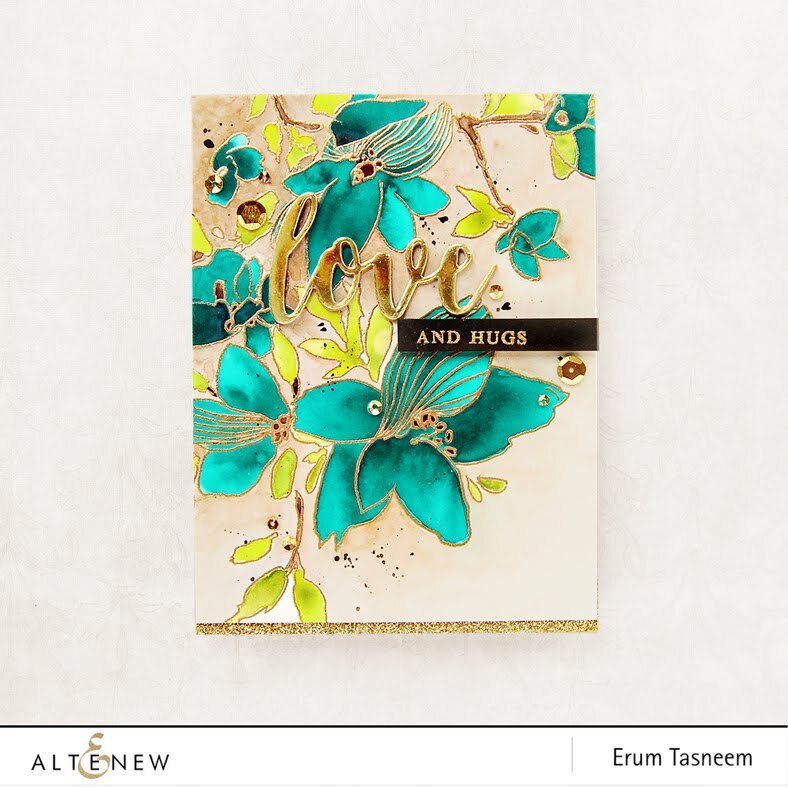 Altenew has fantastic flowers sets and you always make the most stunning cards out of them!! Wish I had half your talent!! You definitely make the flowers pop. Both with color and foam tape! Great job! OMG, I can't pick a favorite here! They are all stunning!! You are so talented and do beautiful works of art. OMG... your cards are absolutely stunning!!! Love your coloring! My fave of all of them is your sepia tone card. WOW!!!! What a wonderful year! Thanks so much for sharing and inspiring! Amazing details on all your cards. "Life is Beautiful" is my favorite. Your cards are so beautiful! The colors you use as well as the designs of your cards are just amazing! Thanks for sharing your talent! So Many Gorgeous Floral Cards! All your cards are fabulous. I love the beautiful coloring and compositions. Such great picks from the year. Gorgeous cards! I am sure you had a tough time selecting your favorites! I honestly think Altenew and you are an amazing combo! I love all your cards. And I am a huge fan of Altenew! Absolutely WONDERFUL cards, I love your inspiration! I especially love the Sketchy flowers with the gold embossed flowers, just GORGEOUS! Gorgeous cards! I'm gonna have to look around your blog more! The way you color your flowers is stunning. I love your cards. Your design, composition and use of color is incredible! I would love to have you teach me how you achieve those works of art. Wow!! The cards you chose are STUNNING!!! I would have a difficult time choosing which I liked best too!! Erum, I have sent a couple of emails to Altenew when they have sent your designs to me and I have asked them to forward on my thanks to you - I hope you got these. Your deigns are just magnificent I have learnt so much from you as a new crafter. You use so many different techniques in your cards it is this that makes them unique from other people's designs. Your cards are so vibrant and beautiful! All of these are just a favorite of mine too. So lovely! 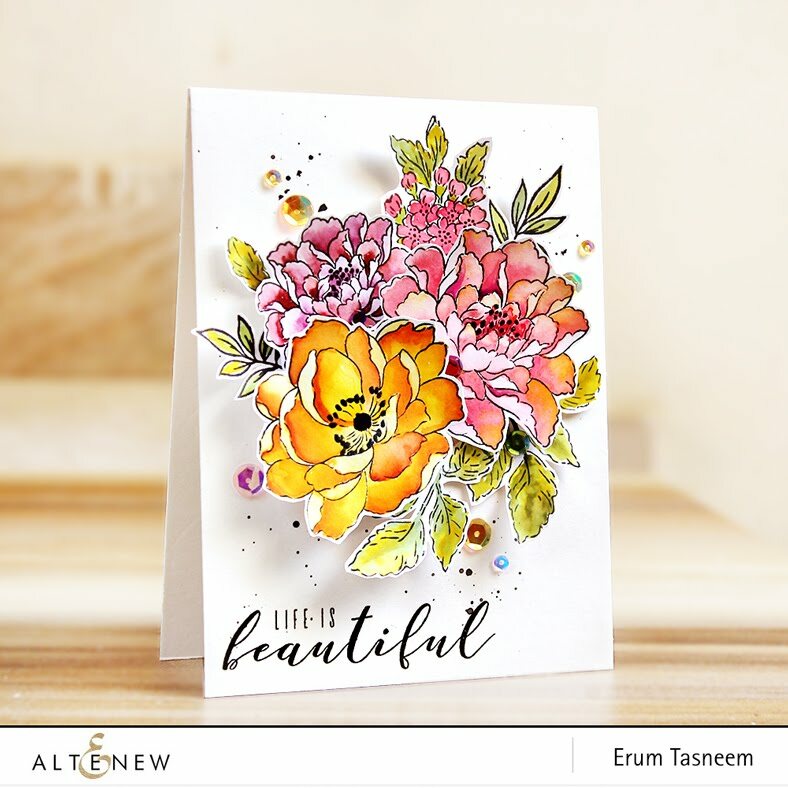 Erum, I am a huge fan of your Altenew cards and work! Thank you for all the inspiration! I can hardly wait to see what you do next! Happy Holidays, here's to a great 2018! Stunning coloring! Your cards are just beautiful! Thank you. I thought I had just posted a comment, but don't see it. I can understand why it was so hard to choose! Such beautiful coloring making gorgeous cards! Wonderful cards. I admire your coloring skills. Each and every one of your cards takes my breath away! They are so gorgeous and your coloring is amazing! TFS! All your cards are absolutely beautiful! You do such an amazing job with florals, these are all so stunning! ALL your cards are WONDERFUL, your florals ABSOLUTELY STUNNING! Your coloring is so beautiful and seamless, I love your work. Looking forward to seeing more in 2018. The flowers fly off the paper. The thing that stands out the most are the vibrant colours chosen for your colour palettes. A lovely range of cards highlighted today. Thanks for sharing your inspiration throughout 2017. Happy New Year. Your coloring skills are super & you make all those flowers so lifelike! Wonderful cards! Love them all! Your flower cards are some of the most beautiful cards I’ve seen. The coloring is gorgeous and the dimension is amazing. Wow, your work is stunning! Your florals jump off the page. Thank you for sharing! Your cards and coloring are absolutely stunning! Wow! I cannot pick a favorite out of these stunning cards. I like the yellow flowers (1st card) and the one posted below it in sepia tone. Awesome job. I love all the color and detail in your flowers. Your cards are stunning! Every time I see your work I am amazed at the beauty and texture from your coloring. Thank you for inspiring me. 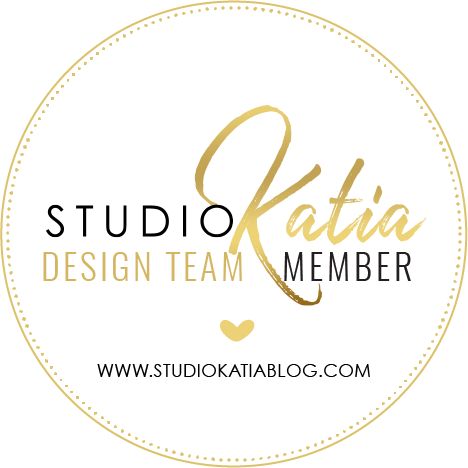 You have a whole different style to your card making !! Love your bold vibrant coloring. The flowers just jump out from the card. I have to try doing this. Thank you for sharing your talent! Fabulous cards. Love all your beautiful designs and details. Hope you have a wonderful 2018!